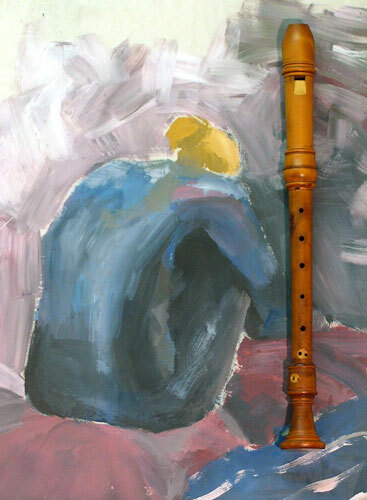 The Dordrecht instrument of around 1400, the oldest preserved recorder, immured in the foundations of a house and brought to light when the house was demolished, was made of plum wood. High density and an extraordinary durability make for the excellent tonal characteristics of this wood which has been documented by numerous other instruments. In most cases I know the former location of the trees that I purchase from farmers in my neighbourhood. Carefully watching the wood over a seven year period of drying enables me to select only the best pieces for my recorders. I use pear wood and occasionally boxwood from the Mediterranean along with plum wood but never the highly problematic tropical wood.